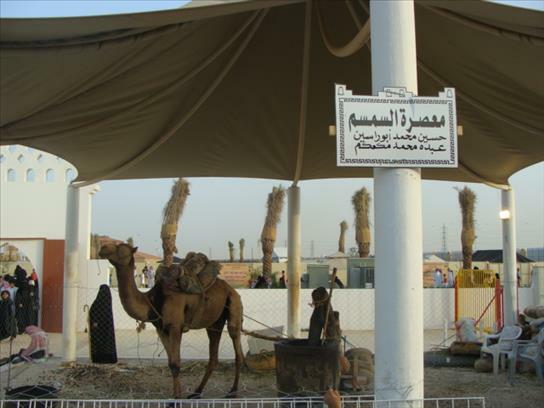 Janadriyah Festival is an annual festival held on the outskirts of Saudi-Arabia’s capital city of Riyadh in the town of Janadriyah. 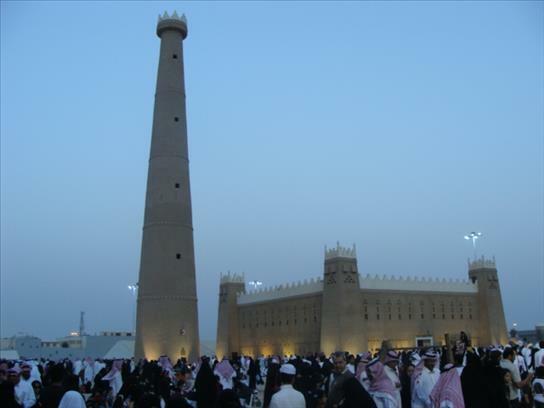 The festival showcases the culture of Saudi-Arabia since it was founded in the early 20th century by its founder Kind Abdul-Aziz Al-Saud. 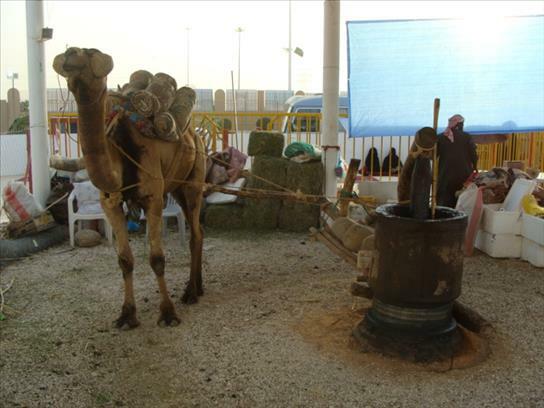 The following pictures depict the various facets of the Saudi culture. 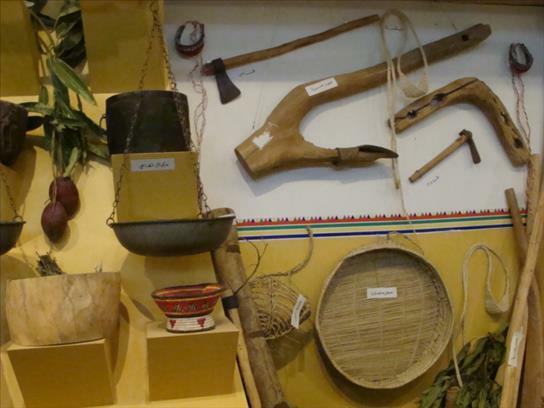 These tools represent the Saudi farmer . 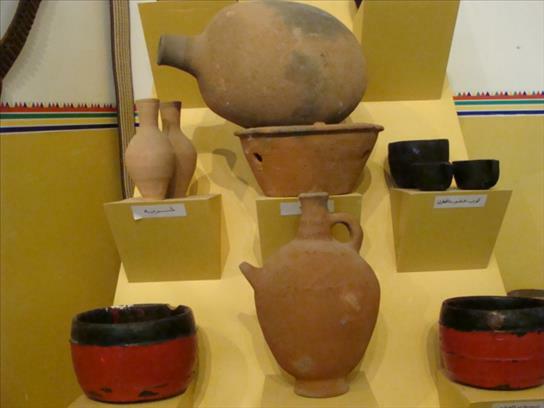 The following jars and pots were used to store clean water for drinking and cooking. 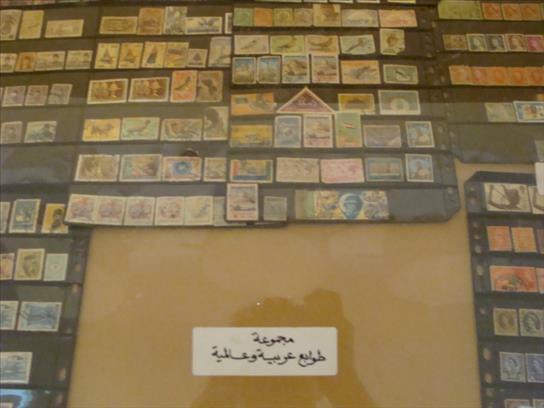 The following pictures shows the many postage stamps that the Saudis have had in circulation for the past century. 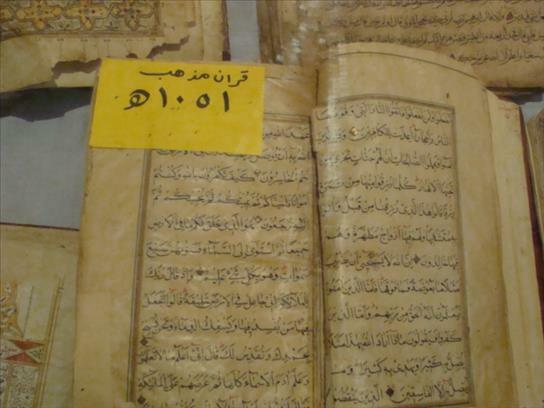 An old Quran from the year 1051 A.H. that corresponds approximately to the early 1630 AD. 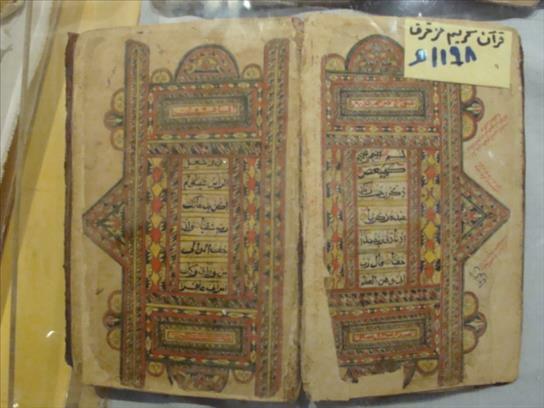 Another old Quran that was printed around 1780 AD. 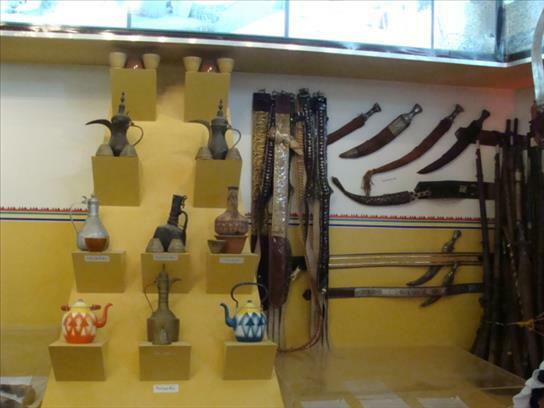 The following picture shows the weaponry that the early Saudis carried and used during the early to mid twentieth century. 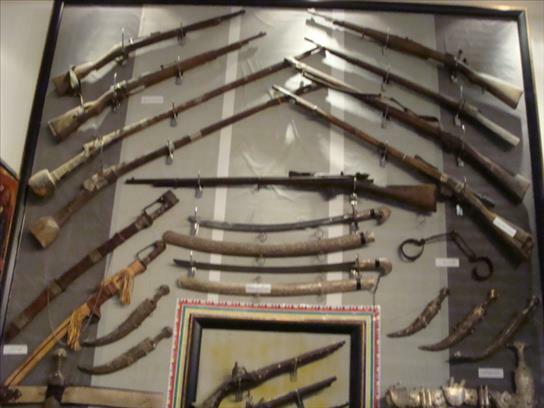 Common weaponry in the Arabian Peninsula during the early to mid twentieth century. Swords, pistols, and daggers. 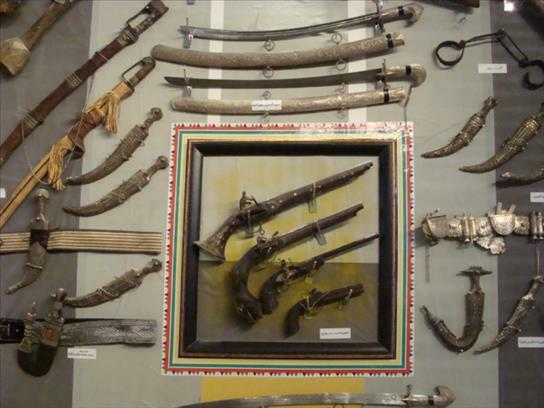 More weaponry from the Arabian Peninsula used during the early to mid twentieth century. Swords, pistols, and daggers. 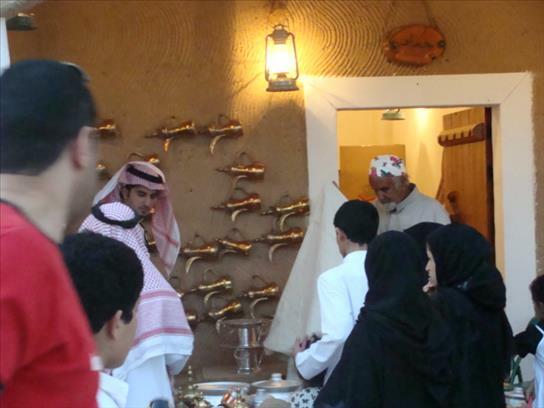 This picture shows the weaponry as well as the tea and coffee pots that are traditional in the Saudi culture. 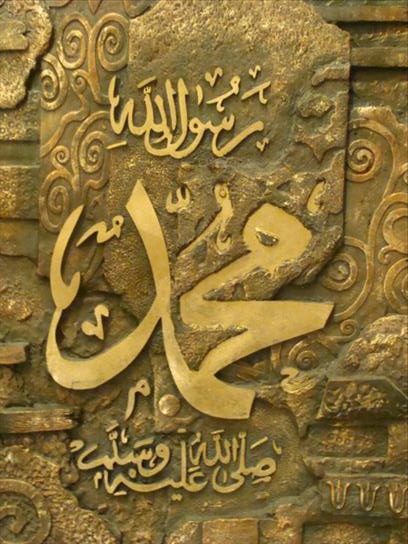 Islamic calligraphy with the name “Muhammad” carved in stone. The name symbolizes Prophet Muhammad. 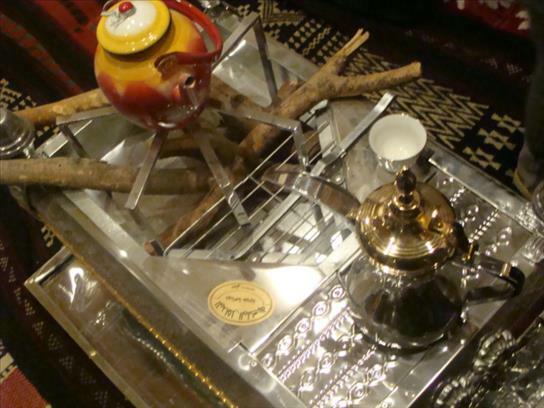 Traditional Saudi Tea pot with small serving cups. 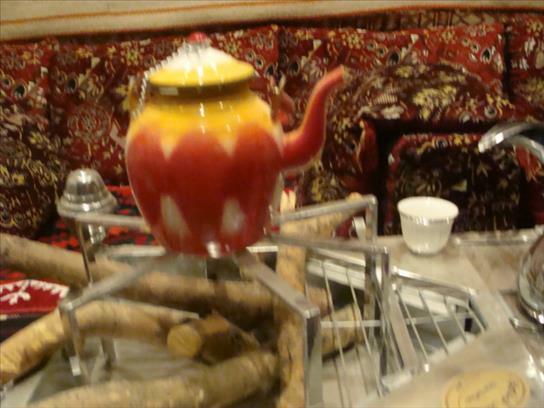 The picture below shows the traditional tea pot in red (on the left) and a traditional coffee pot in gold / silver color on the right. 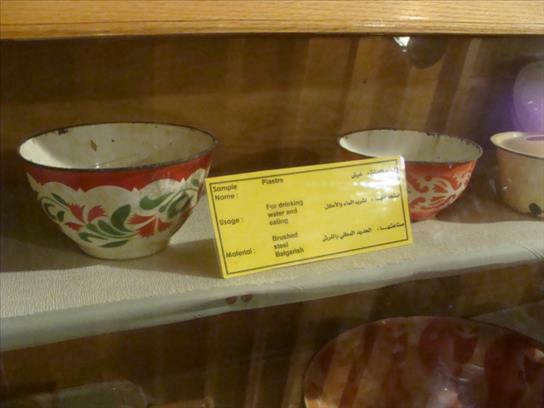 The small cups are usually used to serve Arabic coffee. 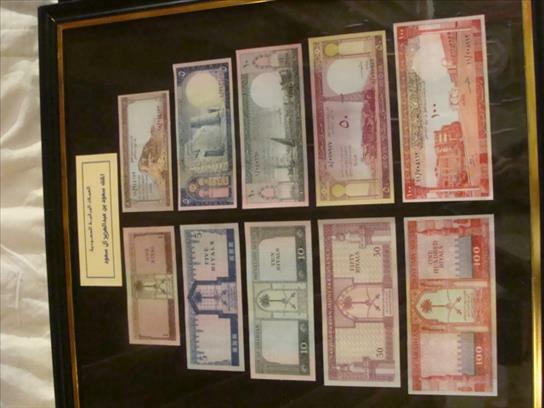 The following shows the various currency denominations that Saudis have had in circulation for the past century. 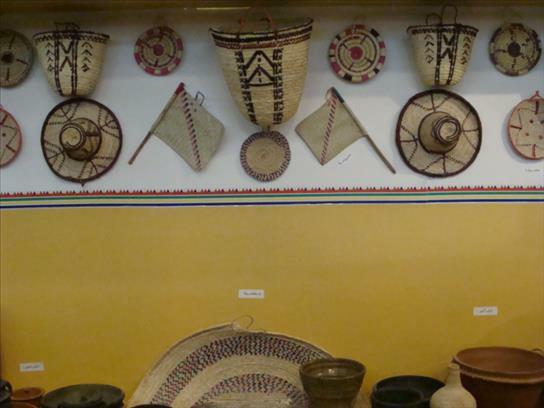 Below are the traditional pots that were used for eating and drinking. 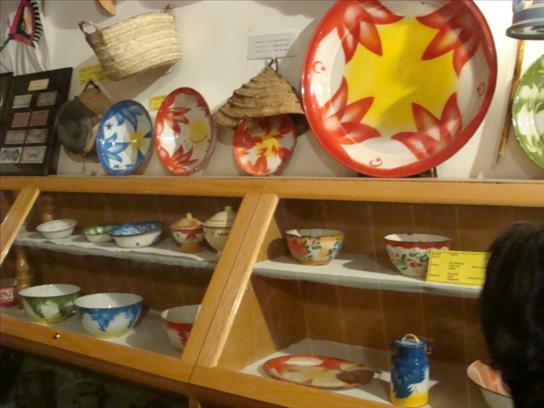 More food utensils used in the early to mid twentieth century. 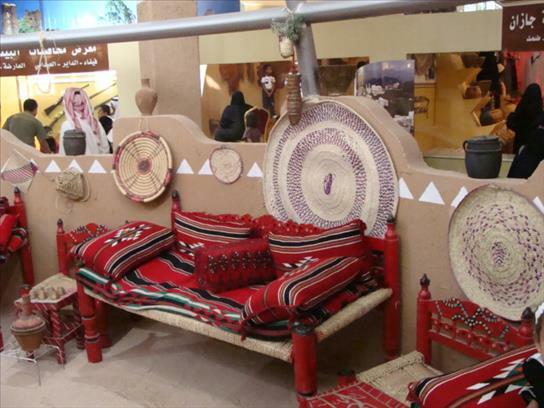 These designs are still prevalent today and have come to represent the Saudi culture. 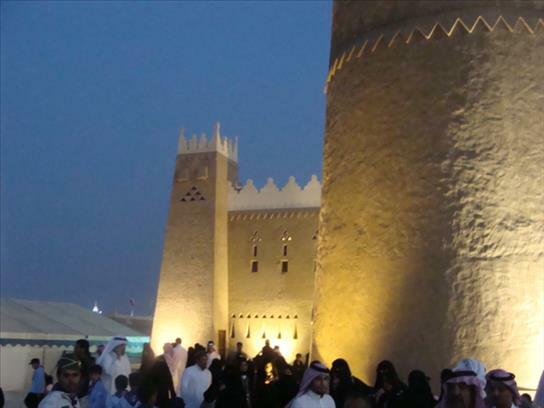 In the festival ground of Janadriyah, structures are built to mimic the forts, houses and other buildings of the early Saudi era and culture. 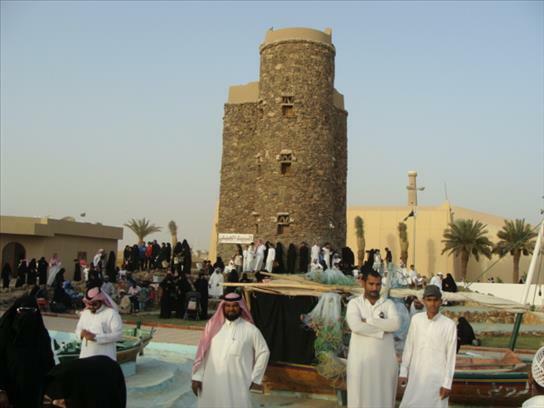 The following is a replica of the actual fort that the founder of Saudi-Arabia conquered before he founded Saudi-Arabia. 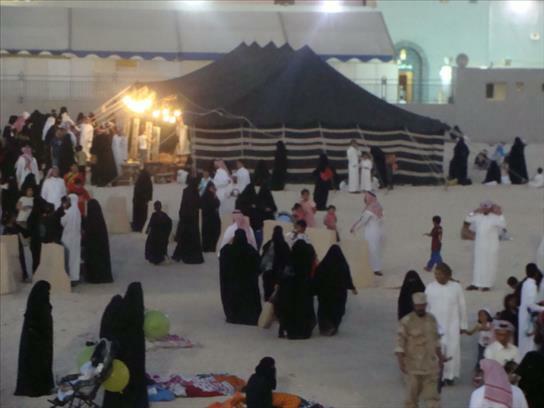 The black tent below symbolizes the traditional dwelling places that Saudis used when they lived in the deserts of Arabia throughout the Arabian peninsula. Below, visitors to the Janadriyah festival take a break to offer the evening Muslim prayers. 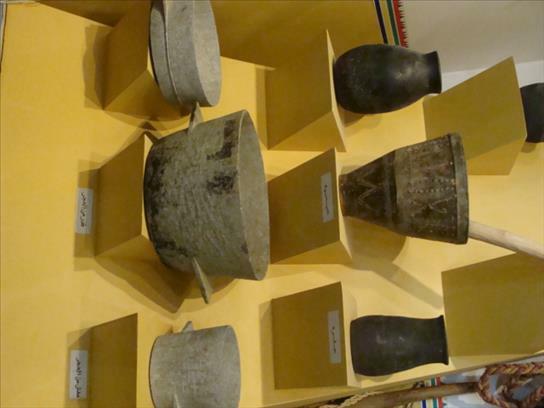 Visitors are shopping for various Saudi cultural artifacts. 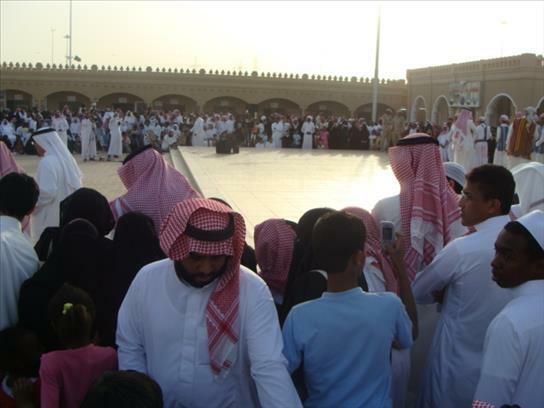 In the background, the traditional Saudi pots are visible. 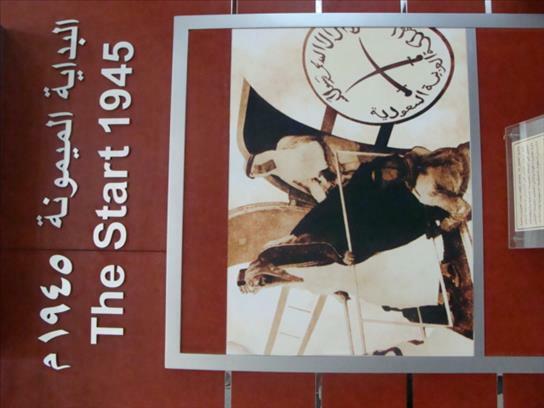 Below is another picture of the fort during the early days of founding of Saudi-Arabia. 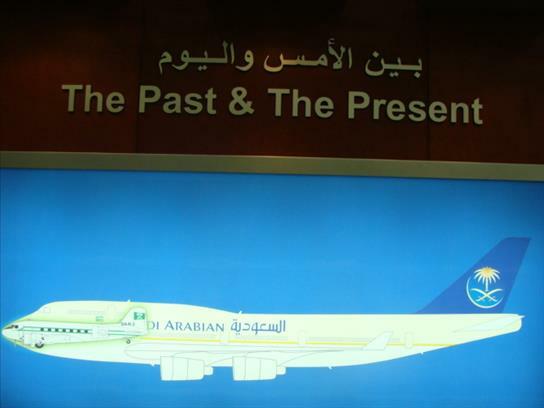 The pictures below show the early and present days of the Saudia Airlines and the planes it used to have in service. 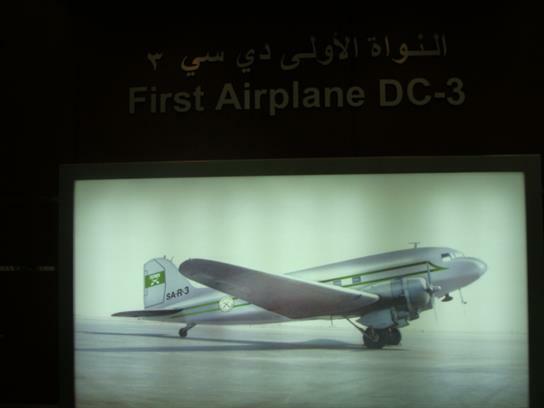 The first plane was a DC-3. The founder of Saudi-Arabia, King Abdul Aziz takes the first plane ride on Saudia’s first airplane. 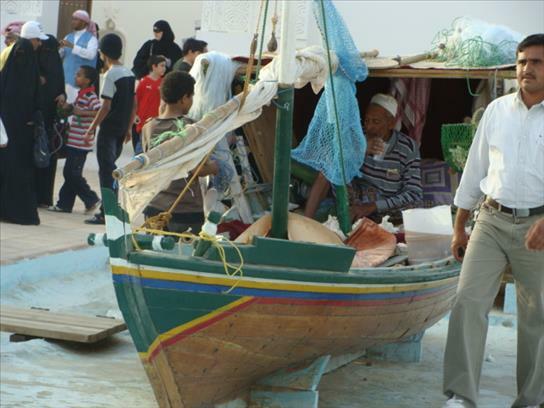 Women visitors in the foreground can be seen in their traditional Abaya dresses shopping for various cultural artifacts. A mill used in the earlier days operated by a camel. 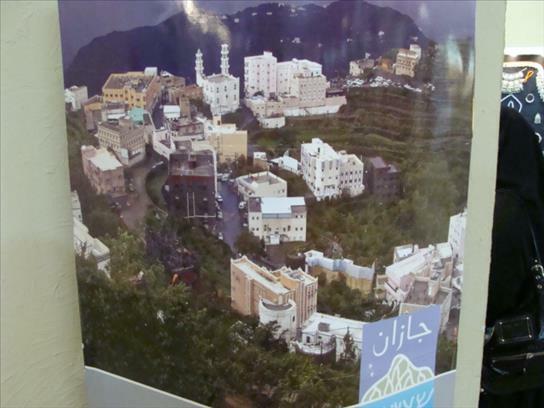 The exhibits below showcase the city of Jazan, which is located near the south west border of Saudi-Arabia bordering Yemen and the Red Sea. 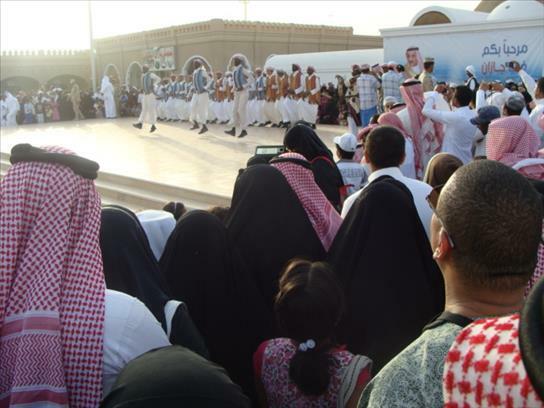 A cultural folk dance from the area of Jazan in the south west of Saudi-Arabia. 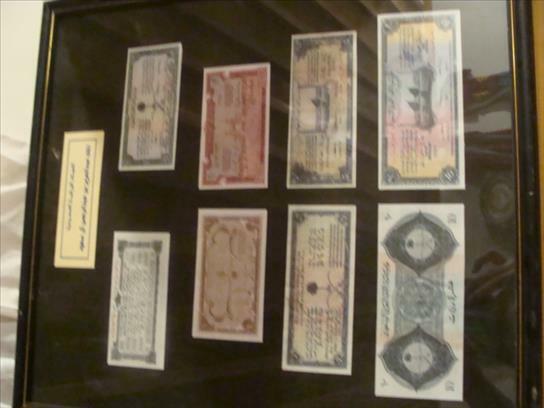 Artifacts from a traditional Saudi sitting for guests. The round mat is used to serve food. People would normally sit around a large plate and share the food that is served on that large plate. 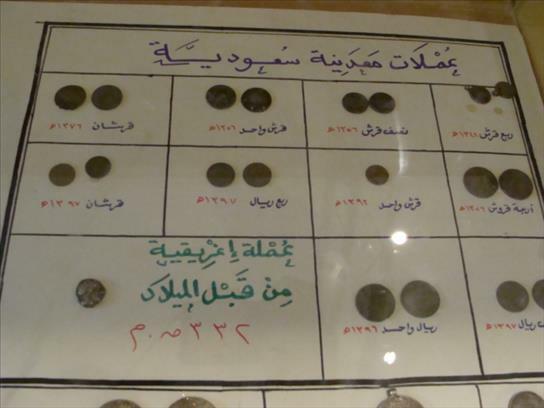 The following show the coins that were used during the early years of Saudi-Arabia. 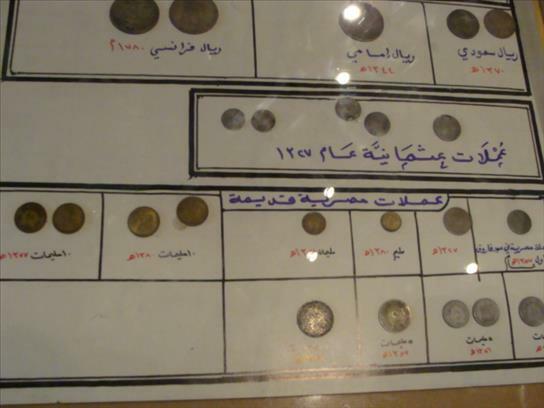 These coins were continuing from the Ottoman period.